• Birds – Buster Facts on birds. (Buster’s friend Penny is a bird). • Food – Buster Facts on food. (Buster is a hungry monster that likes to eat paper). • Trees – Buster Facts on trees. (Buster lives in a park that has trees). • Boats – Buster Facts on boats. (Buster and Jen play in the boat on the river in the park). • The river – Buster Facts on rivers. (The river in the park prompts this theme). 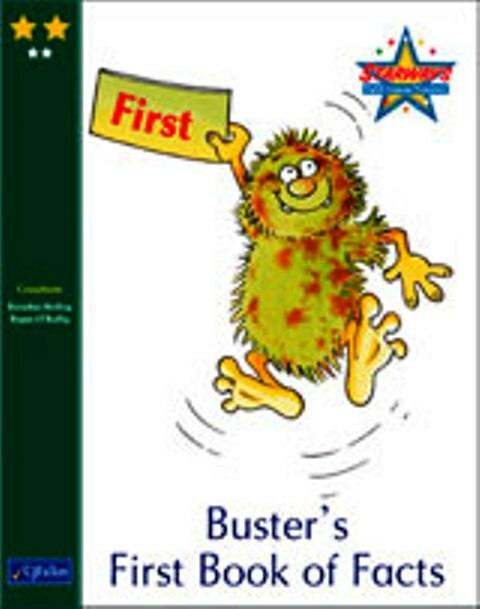 • Fire – Buster Facts on fire. (Buster puts Penny and her friends by the fire in the storybook). • Ice and Snow – Buster Facts on ice and snow. (Buster and his friends play in the snow). • Flight – Buster Facts on flight. (The pigeons and the bubbles fly in the air in the final story of Here comes Buster!). • Picture index with selected items for the child to refer back to as he/she uses the book.